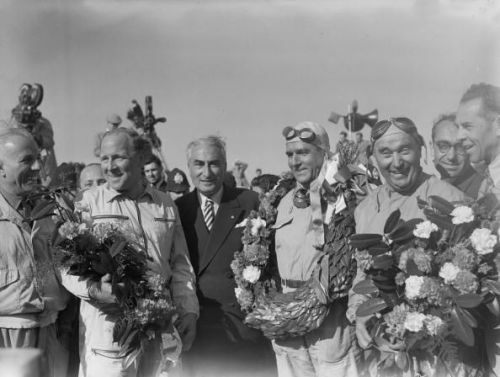 The first Formula One season where drivers were in contention to grab the Championship was held in the year 1950. The first ever Drivers' Champion was Italy's Giuseppe Farina of Team Alfa Romeo. In 68 Championships held so far, thirty-three different drivers belonging to 14 distinct countries have won the Championship. Drivers from United Kingdom top the list with 17 Championships followed by 12 Championships won by German drivers. Scuderia Ferrari has been the most successful team with 15 Constructors' Championships with McLaren not far behind at 12. The most accomplished Formula One driver of all-time, Michael 'Schumi' Schumacher won 7 World Championships which included 91 wins, both records which stand even today. On-track, he was also referred to as 'The Rain Master' for his uncanny knack of pulling off victories on wet tracks with remarkable consistency. In all, Schumi won an impressive 17 out of the 30 wet races that he featured in throughout his career. Schumacher, racing for Team Benetton, won his First Championship in the year 1994 aged 25 years and 314 days. 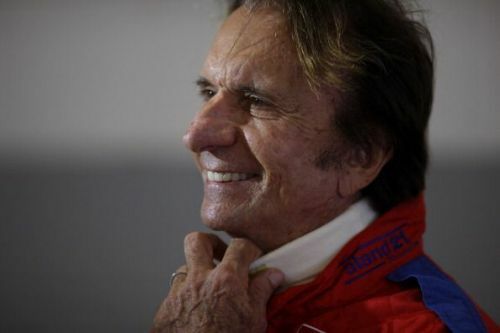 Brazilian Emerson Fittipaldi's Formula One career lasted 11 seasons between 1970 and 1980 during which he drove for Team Lotus, Team McLaren and his brother Wilson Fittipaldi's Fittipaldi Automotive Team. Emerson Fittipaldi won 2 Formula One World Championships in 1972 and 1974, both for Team Lotus. He also registered 2 wins at Indianapolis 500. At the time of winning his first Formula 1 title in 1972, he was the youngest ever at 25 years and 273 days. Spaniard Fernando Alonso made his debut for Team Minardi in the year 2001. The following year he switched to Team Renault where he was a test driver for a couple of years. He was promoted to lead driver for the team in 2003. Alonso is the only Spanish driver to have won the Formula One Drivers' Championship. 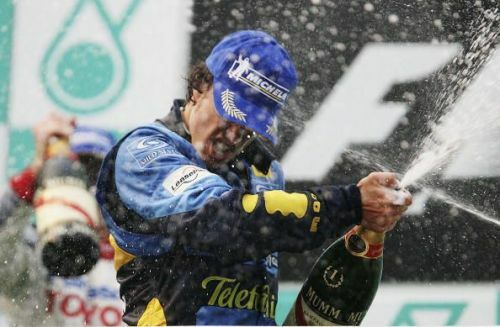 He won the Championship with Team Renault in 2005 and 2006. In his storied career, he has raced for 4 different teams, including Scuderia Ferrari and McLaren. He won his first Championship in 2005 and at the time he was the youngest to do so, at the age of 24 years and 58 days.